Within the frameworks of the European Tourism Forum in Brussels, Tērvete Nature Park received the honorary title as the winner of EDEN project or the most outstanding destination of European tourism in Latvia. 22 European countries have participated and received awards in the event, where in specially organized exhibition each of them presented a popularity of their own tourism destination. The visitors’ attention was attracted by the magnificent design of Latvian stand based on theme of nature. 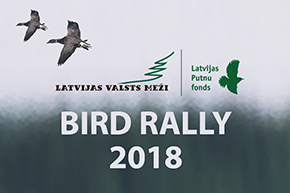 Ginter Ferhoigen, Vice-president of the European Commission appreciated the Tērvete Nature Park not only in the level of tourism but also in the level of environmental education for schools in Latvia. EDEN is a project promoting sustainable tourism development in the whole European Union by drawing attention to the values, diversity and common features of tourism destinations. It provides possibility to demonstrate a rich diversity of Europe – nature resources, historical heritage, traditional festivities and local cuisine. 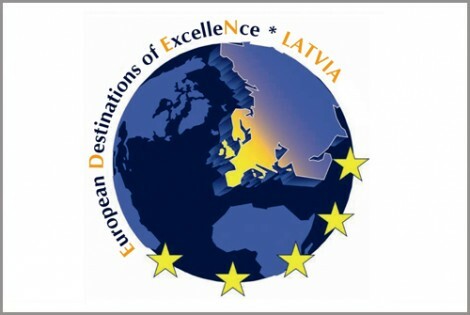 Every year the European Commission in cooperation with the relevant state tourism authorities chooses a different theme for the competition of the most outstanding tourism destinations of Europe and selects one tourism destination from each participating country. Winners of the previous years in Latvia were the town of Kuldīga, highlighting a uniqueness of the ancient town, and Rēzekne for the pottery traditions of Latgale region. Up to now, the key themes of EDEN included rural tourism and intangible heritage. The project theme of this year – sustainable tourism in protected natural areas.